As our practice expands and offers wider variety of cosmetic dentistry, Dr. Lu has integrated several new equipment and procedures to our office. 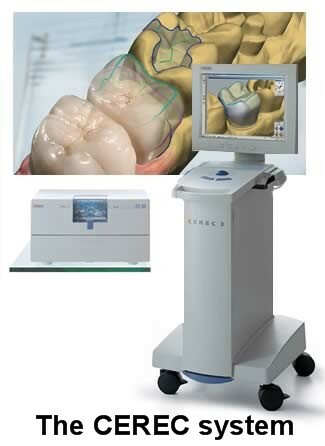 CEREC A computer-aided-design/computer-aided-manufacturing (CAD/CAM) system that makes tooth-colored crowns,inlays and onlays in less than 20 minutes! Too busy for 2-appointment dental restorations? We've eliminated the 2nd appointment! Step 3:Crown is milled in the machine, out of pressurized porcelain blocks. 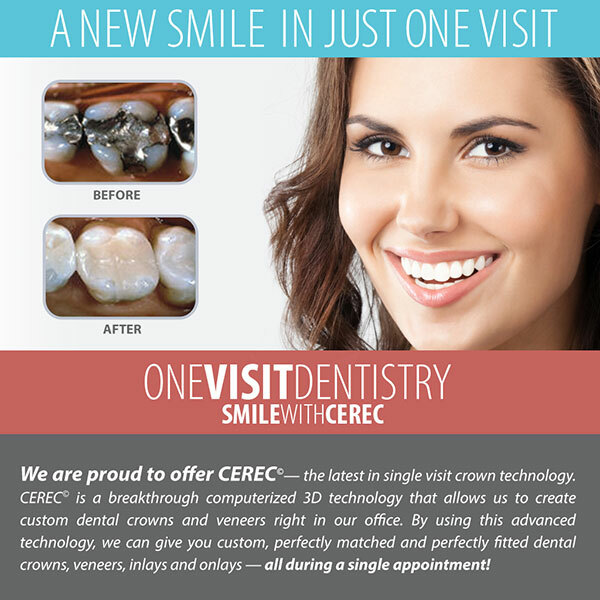 Multiple worn amalgam fillings replaced by beautiful and strong CEREC restorations, in one appointment!